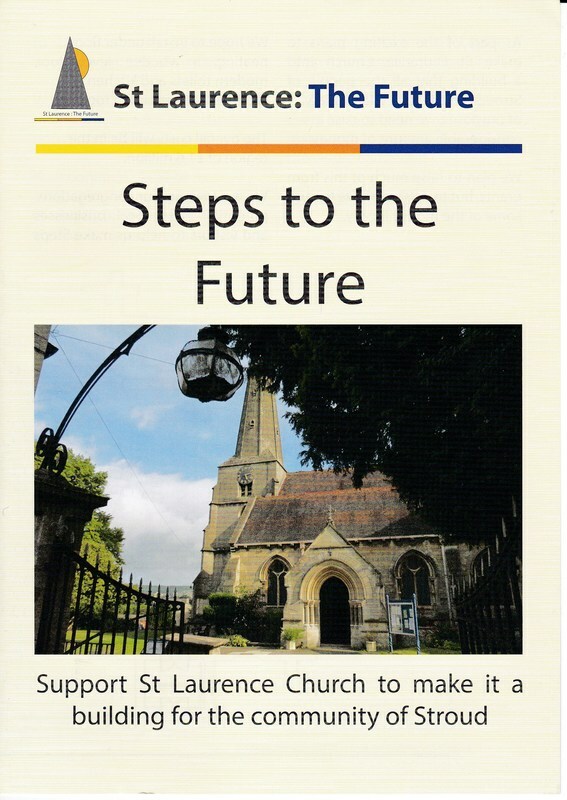 ​As part of the exciting plans to make St Laurence Parish Church into a building that all the people of Stroud can use for a wide variety of purposes, we need to raise a considerable amount of money. To make the building fit for future generations we need to repair the roof, put down a new floor, install a more efficient and effective central heating system, provide modern toilet and kitchen facilities, and create a more welcoming entrance. The overall costs will be in the region of £1.6 million over the next few years. 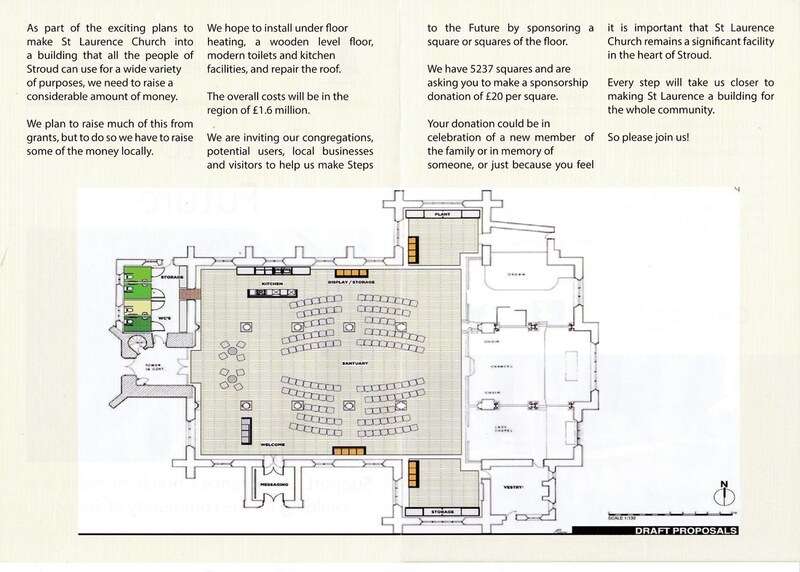 We are inviting our congregation, users, local businesses and visitors to help us make Steps to the Future by sponsoring a square or squares of the floor. We have 5,237 squares and are asking for donations of £20 per square. 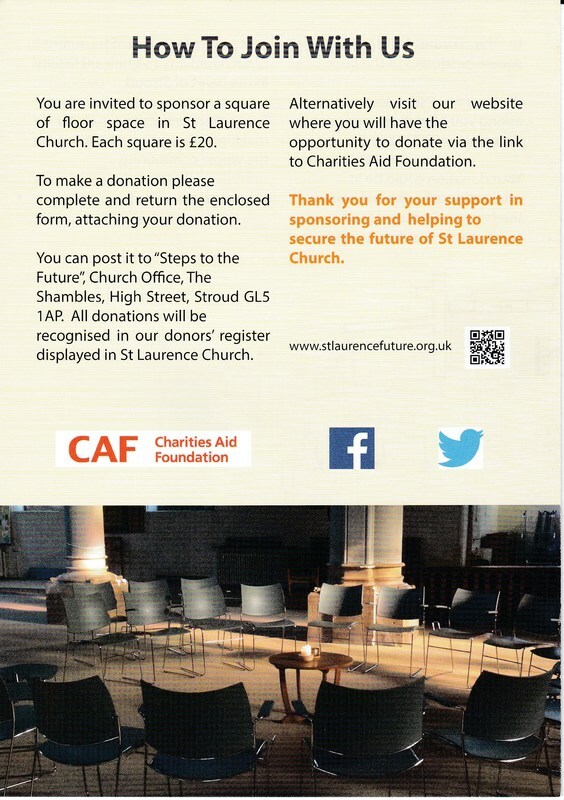 ​Your donation could be in celebration of a new member of the family, or in memory of someone important to you, or just because you feel it is important that St Laurence Parish Church remains a significant facility in the heart of Stroud. Every step will take us closer to making St Laurence a building for the whole community. ​To make a donation you can pick up a leaflet and donation form from the church or Church Office, or you can contact us and we will post one to you. Alternatively, you can donate via the online donation facility on this website, provided through the Charities Aid Foundation.